This year's 24 hours of Le Mans has proven to be an eventful one where Toyota almost won the race but retired from the lead with three minutes to go to hand the win over to Porsche... On a lighter note, the safety car was caught drifting during the qualifying session. 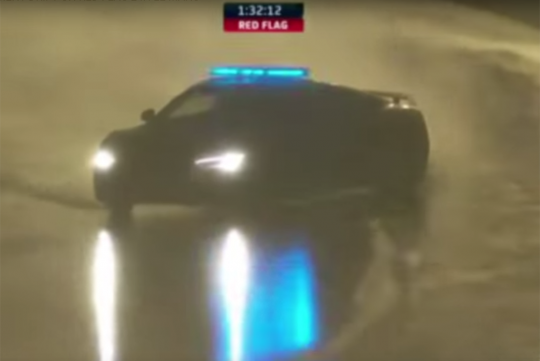 According to Carscoops, a sudden downpour hit the track which prompted a red-flagged session and the safety car to be called out to evaluate the conditions. Halfway through the lap, the Audi R8 safety was seen going sideways as traction was lost in a turn. The driver, Yannick Dalmas, a four-time Le Mans winner was thankfully quick enough to save the car was spinning off. Great skills there, we say. Even Mark Webber seem very impressed.